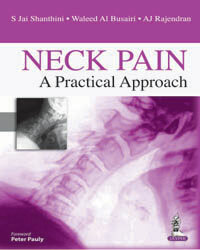 The aim of this book is to highlight the key points in the approach to a patient presenting with neck pain. The book is designed in such a way that it can be used as an easy and reliable guide by general practitioners, physiotherapists and all the clinicians interested in the management of neck pain. In this modern technological era, neck pain is one of the most common complaints in clinical practice. The aim of this book is to highlight the key points in the approach to a patient presenting with neck pain. The book is designed in such a way that it can be used as an easy and reliable guide by the general practitioners, postgraduate students, physiotherapists and all other clinicians interested in the management of neck pain. Reading this book will help the clinician in accurately diagnosing the neck conditions, improving the quality of care rendered to the patients, minimizing the adverse effects of pathological neck conditions, developing decision-making strategy for management and also informing and educating the patients and other healthcare practitioners about the neck complications, risk factors and treatment options. The book consists of two parts. 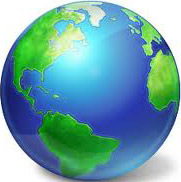 Part 1 will cover the basics including Clinical anatomy, Pathophysiology, Clinical examination and Treatment principles. Part 2 consists of Pharmacological and Nonpharmacological management of neck pain as well as case descriptions and illustrations. Useful for General Practitioners, Postgraduate Students, Physiotherapists and all the Clinicians Interested in the Management of Neck Pain.